Route. 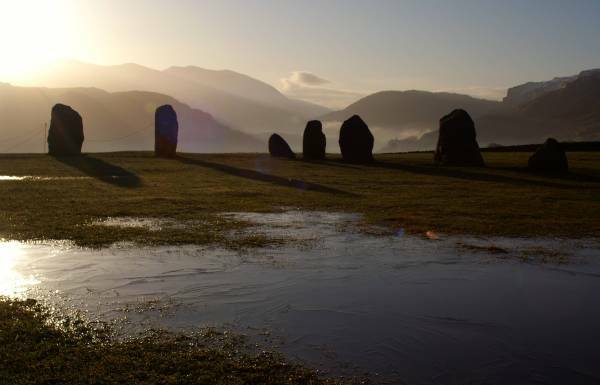 Castlerigg Stone Circle - Gooswell Farm - Naddle Bridge - Tewit Tarn - Low Rigg - Church of St John - Paper Moss - High Rigg - Moss Cragg - Shaw Bank - Naddle - Nest Brow - High Nest - Castlerigg Stone Circle. Notes. I'm in the company of my daughter today, she feels the need to take mountain photographs and torment me, the subtle tones of Radio Two were vanquished from the car, instead my ears were tortured by some band called Pendulum, the music ended when we left the car but there's more, have you ever walked to a commentary, I have, I don't know where it all came from but she never shut up, never repeated herself once, even on the steepest climb of the day the chatter kept flowing, it certainly passed the day quickly, and on the way home it was Aerosmith and a headache. 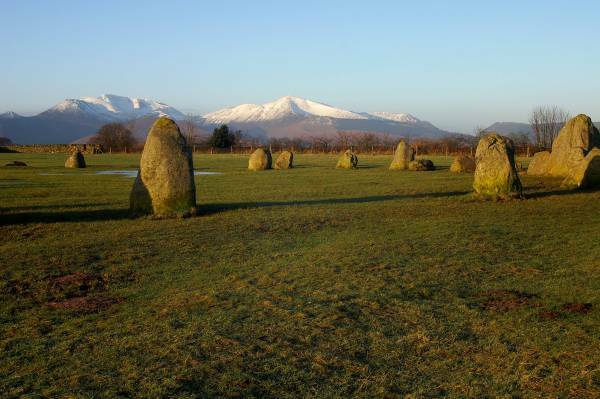 Our day started at Castlerigg Stone Circle on an unexpectedly bright Monday morning, a few photos of the standing stones before heading east over tarmac to Goosewell Farm. 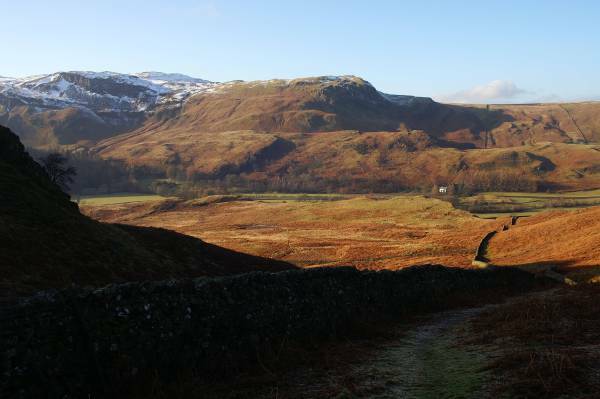 From the farm we follow field paths to reach tarmac again at Naddle Bridge, walking through country lanes keeping right at two junctions we were soon met by a finger post directing us south to the Church of St John, up the hill passing picturesque Tewet Tarn to reach the summit of Low Rigg. Still heading south it was down hill all the way to the church, from the church High Rigg dared us to climb it's steep northern slopes, the summit was a welcome sight, south from the summit hunting for a dry stone wall that would guide us to a wall junction that marked the start of our descent. We followed the wall to reach a bridleway near Shaw Bank Farm, passed the farm before making a left turn then immediately right through the fields of Dale Bottom, we soon reached the busy A 591 at Nest Brow to be met by another finger post, this time directing us to Castlerigg Stone Circle, through several fields before emerging onto the lane we left earlier, a short walk up the hill brought us back to the stone circle. 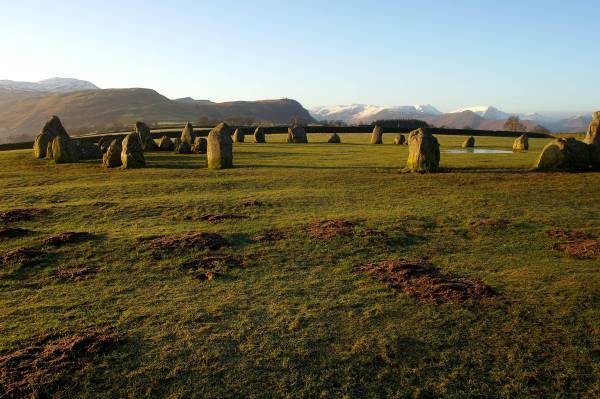 The thirty eight standing stones of Castlerigg Stone Circle erected around 3,000 years BC. 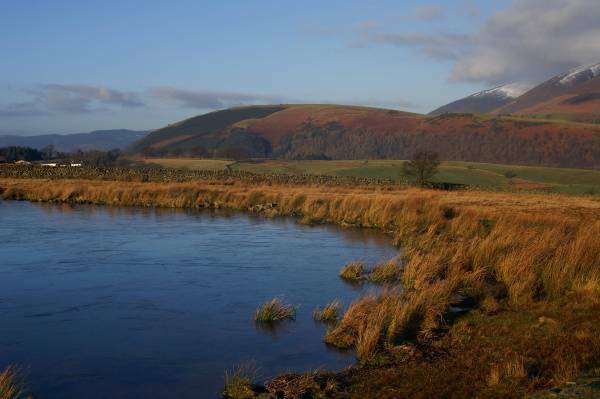 A stunning view to Grisedale Pike. Magnificent views to the south. 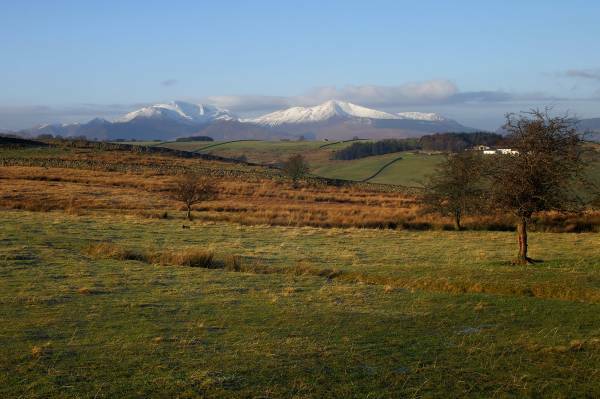 On a perfect morning, Clough Head carrying a little snow, seen from near Goosewell Farm. 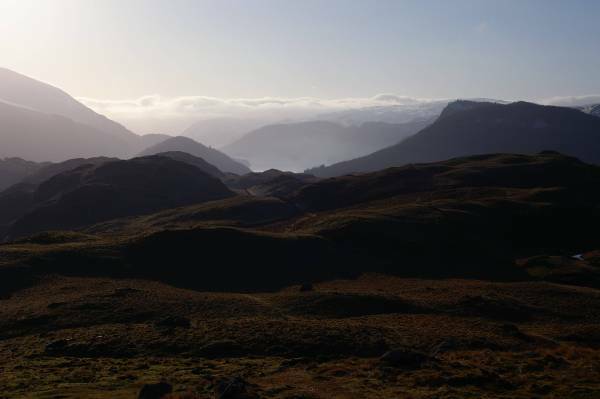 The scene over Dale Bottom with the slopes of High Rigg clearly seen on the left. 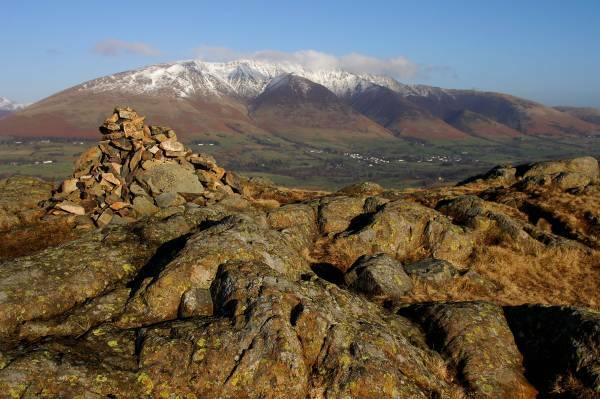 Ascending Low Rigg with mouth-watering views to Grasmoor and Grisedale Pike. 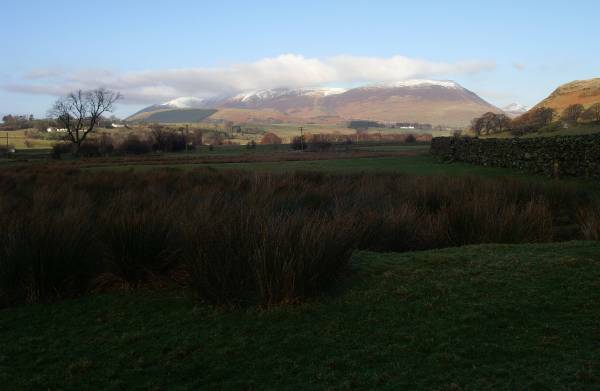 The formidable south facade of Blencathra as seen from Tewet Tarn. 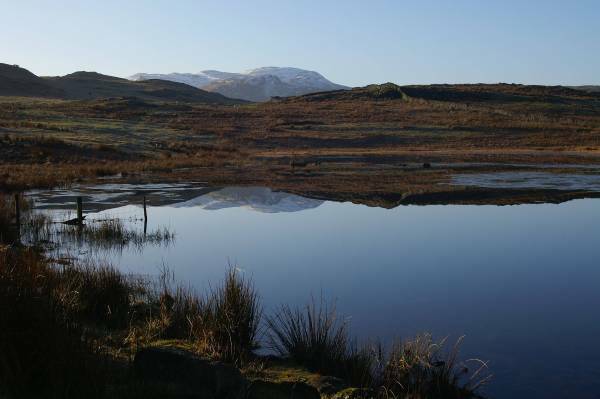 The wonderful views to Bleaberry Fell reflect in the still waters of Tewet Tarn. 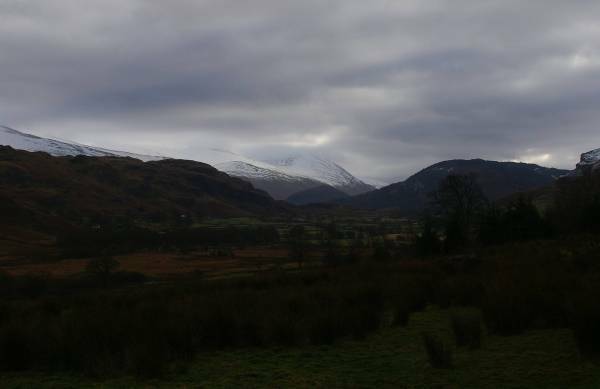 An icing sugar day across the north western fells. 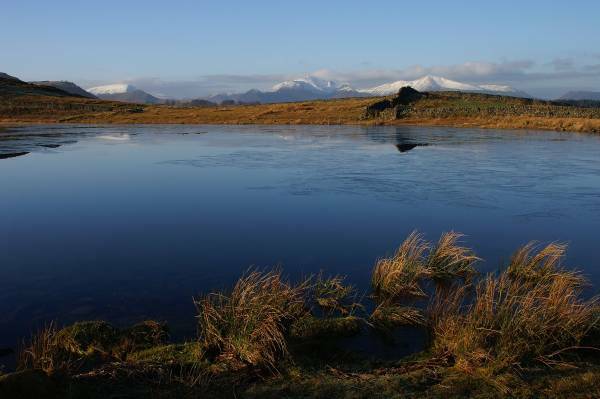 There are wonderful views to be had from the still waters of Tewet Tarn, this particular one being Latrigg backed by the ridges of Skiddaw. 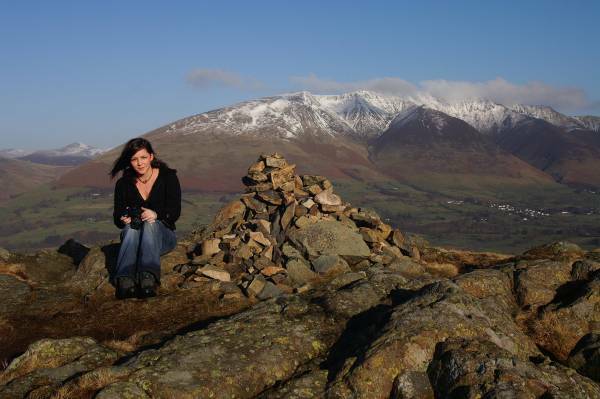 Kirsten adorns the summit of High Rigg. 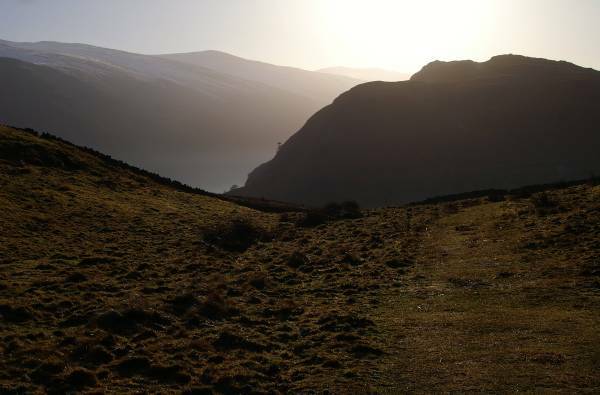 Striding out along the broad grassy saddle of the High Rigg ridge, with views stretching across the Thirlmere Valley. 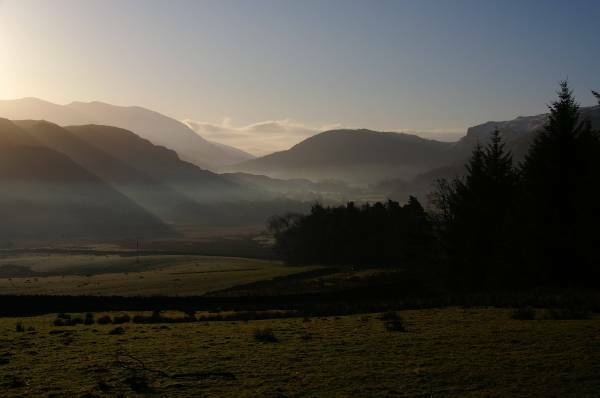 Stunning views across the Vale of Keswick. 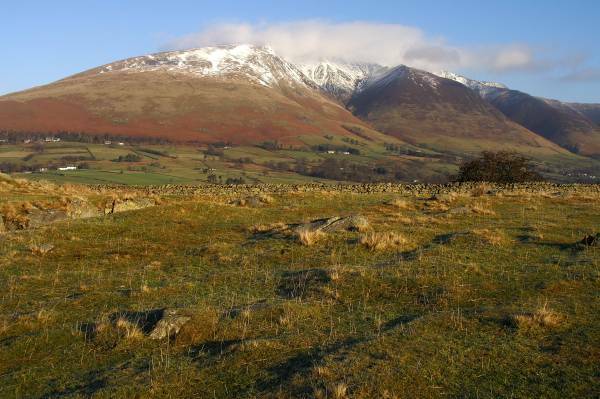 The impressive ridges of Blencathra seen from High Rigg. 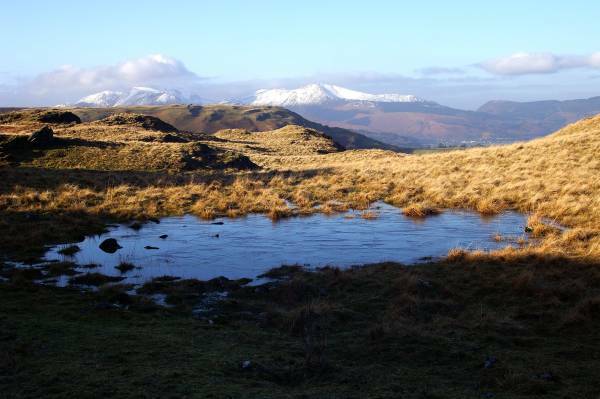 On the slopes of High Rigg looking to the snow capped peaks gracing the north western skyline, Grisedale Pike to it's left mighty Grasmoor. 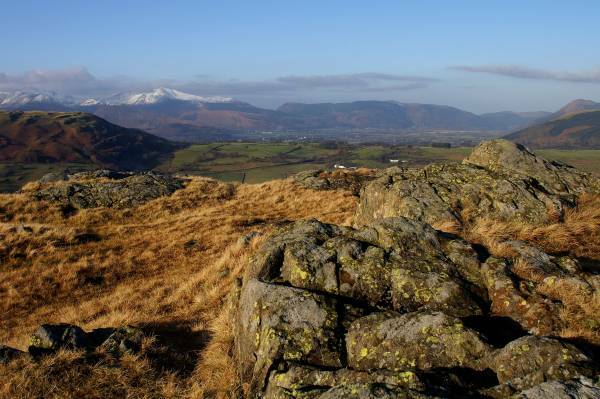 Our descent followed the wall with views to Bleaberry Fell for company. 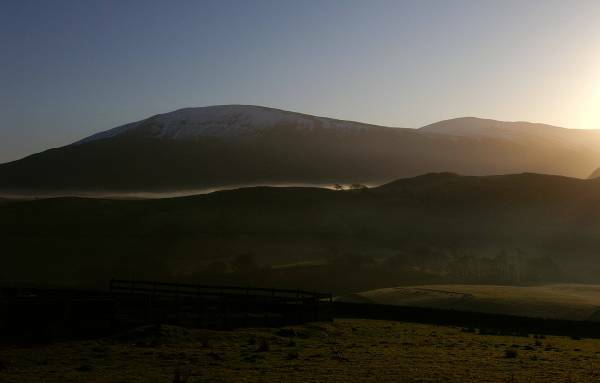 Views over Dale Bottom to Skiddaw. 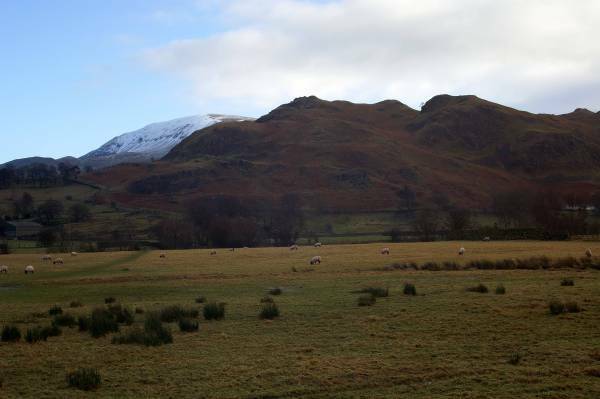 A final look to the south, Helvellyn in the distance under snow with High Rigg to the left.